Fear not, landlubbers! 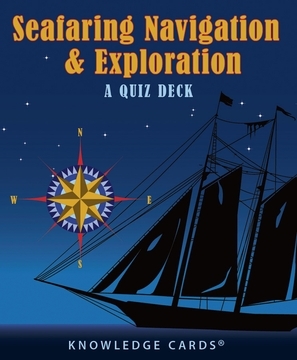 It’s true that this 48-card quiz deck is populated with privateers, mutineers, pirates, and the mysterious Sea Peoples. And ’tis rife with miscalculated maps, life-threatening maladies, and murderous culture clashes. Yet it’s also packed to the gills with the glories resulting from successful oceanic explorations, ingenious inventions, and amazing modern-day feats such as solo circumnavigations of the seven seas. The well-researched questions on the fronts of the cards may send you down a rickety plank, but the concise answers on the reverse sides serve as life preservers. 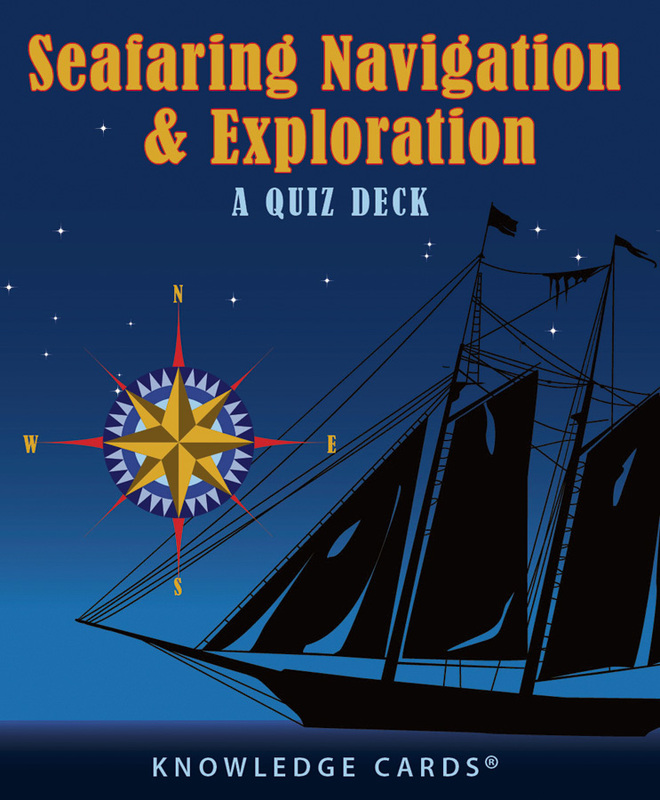 Fun as a game for the motley crew and just as satisfying as a solitary read in the crow’s nest, Seafaring Navigation & Exploration takes you on an around-the-world adventure during its quest for nautical knowledge.